Even as the FSRMF continues to partner with Sheriff’s Offices to reduce the frequency of vehicle accidents, it remains an unfortunate fact of life that every Sheriff’s Office in the state of Florida will continue to deal with automotive accidents involving agency personnel. This article will discuss the basic steps that should be taken when a deputy or other employee is involved in a vehicle accident. After taking all necessary life-saving measures to protect the injured or vulnerable, the first thing a deputy involved in an accident should do is notify dispatch or a supervisor of the location and nature of the accident, per agency policy. Care should be taken to make sure that only “Serious Accidents” are reported to the FSRMF’s Outside Adjusters. As a general proposition, whenever possible, another agency should conduct the formal criminal or civil accident investigation. This avoids perceptions of conflicts of interest that inevitably arise when your agency investigates an accident involving “one of your own.” Rarely should the deputy driver involved in the accident conduct the investigation. Regardless of whether your agency’s personnel conducts the formal criminal or civil traffic investigation, the agency driver and supervisor, when conducting their internal investigation, need to be attuned to the who, what, where, when and how of the accident. What may seem insignificant at the time may turn out to be a crucial piece of evidence when, for instance, the other party either later claims to be injured and/or later claims the deputy was at fault. Make sure the names, addresses and contact information of all persons involved in the accident and of all witnesses are recorded – this applies to children, too. If the occupant of another vehicle likely witnessed the accident, write down the license plate or, for commercial vehicles, a description of the vehicle and company markings so that witnesses may be located. All observations of injuries or complaints of injuries by the other parties should be noted. Just as important, all observations or statements concerning the other parties’ lack of injuries should also be recorded. Photos should be taken of the scene of the accident and of approaches to the accident scene. Make sure any visual obstructions that may have contributed to the accident are captured in the photos. Take photos before the scene is disturbed or vehicles are moved. If an agency vehicle had emergency equipment activated at the time of the accident, make sure the agency vehicle is photographed while the emergency equipment is still on. Use a fixed landmark in scene photos to establish orientation. Photograph the roads driven by both vehicles. Photograph skid marks and the absence of skid marks. Take pictures of all vehicles and fixed objects involved in the accident. Don’t just focus on the agency vehicle or the other vehicles or property. Don’t fail to photograph vehicles or objects because there is no damage – evidence of lack of damage or of minimal damage is often critical to a lawsuit. Take both close-up photos and medium distance photos of damage. Pictures that are all close-ups fail to provide perspective. Distance photos fail to capture needed detail. If heavy traffic or congestion contributed to the accident, take a picture of traffic conditions. Try, where appropriate, to photograph the occupants of the other vehicle if they appear uninjured. 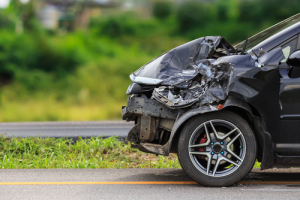 A picture of a claimant smiling at the accident scene can defuse a claim made years later of debilitating injuries. If the accident occurred at an intersection, take photos of all signs (i.e., stop or yield signs) and traffic control devices. If the accident involves a left hand turn at a traffic control light, take a picture of a traffic light showing a green left-turn indicator. After you take a digital picture, take a moment to make sure the picture came out well. It does no good to take pictures at the scene only to later discover poor lighting, lack of a flash, an out-of-focus or dirty lens, light reflection or a finger or lens cap blocking the lens ruined the pictures. When it is time to prepare a written report, remember to “Write to the Reader.” Our FSRMF adjusters will read these reports and take action based upon the information in them. If liability is contested, the other parties to the accident and their insurers and attorneys will surely read the report. If the accident spawns litigation, judges, experts and jurors will review the report. For these reasons, it is important that reports be clear, accurate and sufficiently detailed to fully document the accident. In addition to items mentioned earlier, the report narrative should cover basic things such as weather, road conditions, obstructions to visibility (including other vehicles that blocked visibility), traffic flow, the use or absence of emergency or safety equipment, signage and the presence, operability and visibility of traffic control devices. If an in-car camera was operating at the time of the accident, or immediately before or after the accident, steps should be taken to preserve the recording, and the existence of the recording should be documented. In this age of video cameras, deputies should take care to note security cameras from nearby businesses or homes that may have captured the accident and make sure to include this information in written reports. Steps should be taken to contact the owners of these cameras and ask that they preserve the video. Deputies should be mindful that an accident scene involving a Sheriff’s vehicle may attract much attention and may be the subject of homemade (cell phone) videos made by the public, the occupants of the other vehicles involved in the accident, or their family or friends. If this occurs, deputies should not try to prevent the videoing but should politely attempt to document the contact information of the person taking the video and note this on their reports. Finally, deputies should keep in mind that accidents are emotional events. Regardless of who was at fault, but especially if the deputy was at fault and/or if someone was injured, deputies should be mindful that they are being watched and their conduct scrutinized by everyone present. For these reasons, deputies should avoid joking at the scene “among the guys” or engaging in any other behavior that might be perceived by the public or other parties to the accident as being uncaring behavior by those sworn to serve and protect the public. A professional and caring demeanor by deputies, even when agency personnel caused the accident, will go a long way in maintaining the confidence of the public and those involved in the accident and will not distract from the focus of getting the injured treated and property damage fixed.